When you’ve got little ones, you’re always on the lookout for fun and different things to do with them. No matter how much to see and do there is in your local area, after a while it all gets a bit too samey. There’s only so many times you can visit the zoo or go bowling without losing your mind with boredom. That’s why sometimes it’s a good idea to mix things up and explore a little further afield. Day trips can be a great way to get the whole family out and about, having fun and exploring. It’s just a case of selecting the best places to go for a family-friendly day out – we’re spoilt for choice as the UK has so many amazing places to explore. To help you choose the best locations for family day trips, I thought I would put together this handy guide. Hopefully, this will allow you to find the day trips that are most well suited to you and your family. For a city day out, it has to be London. Cardiff is pretty great too, but compared to London, it’s nowhere near as exciting. Home to the London Eye, Madame Tussauds, The National History Museum, and so much more, there is an array of things to see and do here. Whether your kids are science lovers or are mad about history, London has something for everyone. The London Dungeons, The London Duck Tour, and The Science Museum are all perfect places for a family day out. 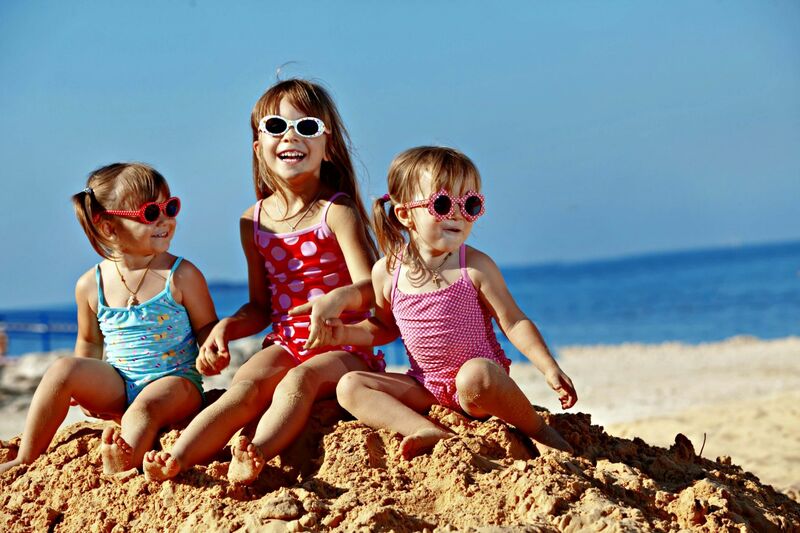 Are your kids beach mad? If your little ones love building sand castles and splashing about in the sea, then a day trip to Devon or Cornwall could be ideal. There are so many beautiful places to explore in these two regions. From white sandy beaches to idyllic areas of countryside. For a fantastic family day out in Cornwall, St Ives, Perranporth, Newquay, or Padstow are all great. In Devon, Dartmouth, Salcombe, and Goodrington are all perfect places to explore. If your kids love places with lots of history, then Kent is the perfect place for a day trip. There are so many beautiful castles and ancient ruins here that make it the perfect place to spend some time exploring. Whether you choose to visit Tudor castles or Canterbury Cathedral, you’re sure to have a fantastic time. Of course, Kent isn’t just known for its history but also for its beer. So after a little exploring, a pub lunch could be the perfect way to recharge your batteries. One of the best places to take kids with an aptitude for adventure has to be the Jurassic coast. This 96-mile radius of coastline, spanning from East Devon to Dorset, is famed for its fossils. On the beaches along this coastline, there are hundreds of thousands of fossils ready to be found. While you’re not allowed to chip fossils off the rocks, what you can do is collect ones that have already been dislodged. For kids who love adventure or are dinosaur mad, this is the ideal day trip. Hopefully, these ideas will give you plenty of places to visit and explore with your little ones. When life gets too samey, mixing it up is important. "Stylish Cashmere & Wool Knitwear You Can Machine Wash?"